War Grave Register notes: SMITH, Tpr. Lionel Francis Watson, 519. 2nd Australian Light Horse Machine Gun Sqdn. Killed in action 5th Aug., 1916. Age 29. 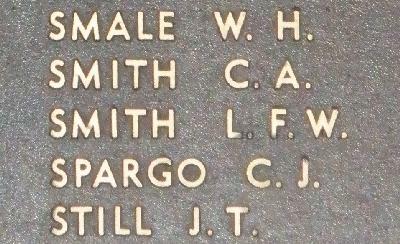 Son of Harry and Adelaide Louisa Australia Smith, of Brundah, Nancarrow Lane, Wellington, New South Wales. Native of Dubbo, New South Wales. B. 38.